You are at:Home»Deals»Puls TV Mount Promo Code | Save 10% Using Our Exclusive Coupon Code! If you’re searching for the best Puls TV mounting coupon code, you’ve come to the right place. We’re working directly with Puls to help you save big on TV mounting services. In this article, I’ll share a Puls TV mount promo code that you can use to save 10% on your next TV mounting job! Save 10% on your Puls TV mounting with the coupon code PF10ND18! You only pay after the TV has been mounted! 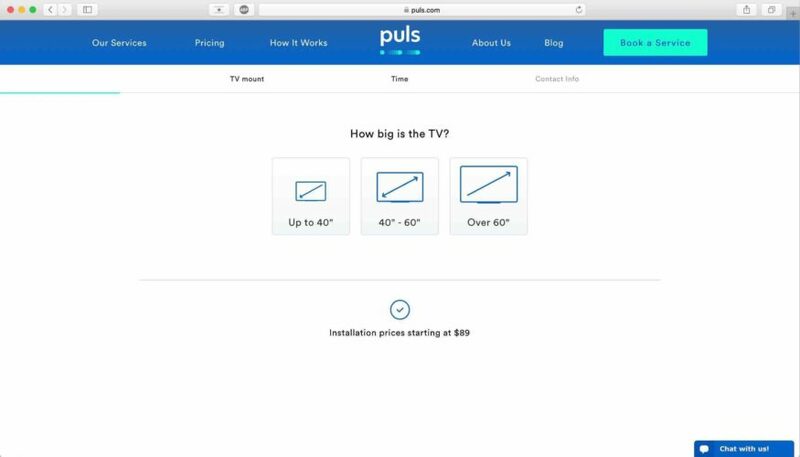 Head to Puls and begin by selecting the size of your TV screen. Puls technicians can mount small, medium, and large screen televisions! Once you’ve selected your TV size, enter your ZIP code to confirm that a Puls technician can provide service to your area. Next, select the type of wall you’d like to mount your television to. Then, select the type of brackets you’d like Puls to mount your TV with. If you don’t have brackets, you can purchase them from Puls! Now, select what time you’d like the Puls technician to come and mount your TV. In some areas, Puls can send someone to you at as late as 9 PM, so you don’t have to take the day off from work! Finally, enter your address contact information. When you’re ready to go, click the Confirm Contact Info & Location button at the bottom of the screen. It’s that simple! Why Should I Choose Puls To Mount My TV? Let’s face it — mounting a TV isn’t a one person job. Having a helping hand can save you a lot of time and money, as well as prevent an accident from happening. Furthermore, Puls technicians are experts at mounting televisions. They’ll be able to help you choose the perfect brackets and neatly dress any wires or cables left hanging around. Your technicians can also help you set up a smart TV, install a home theater, or configure additional devices to you TV. 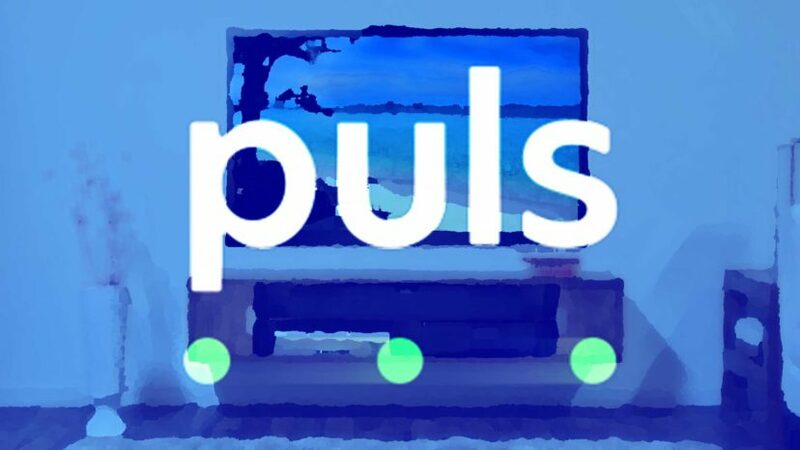 You paid a lot for your television — let Puls help you set it up right! 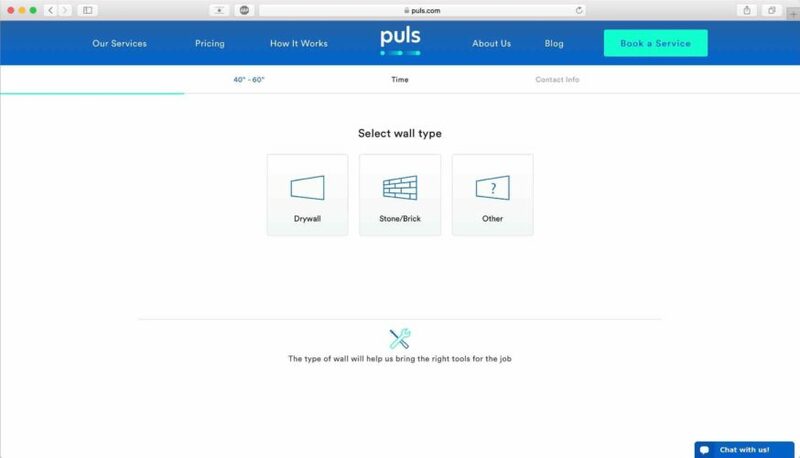 How Soon Can Puls Help Me Mount My Television? A Puls TV mounting team can be at your home in as little as an hour. 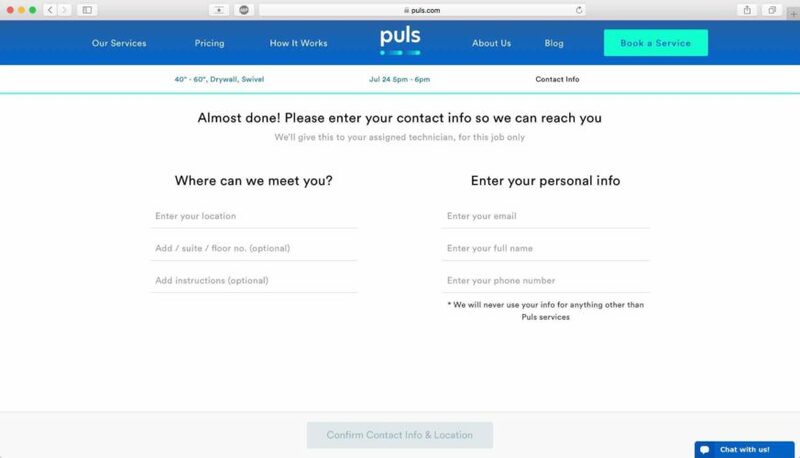 Puls services are on-demand, meaning that they’ll arrive when you need them. So if you need your television set up before the next big game, don’t worry — Puls has you covered! Puls sends expert technicians directly to your house or apartment. They'll help you mount your TV on-the-spot! Note: We may receive a referral fee from Puls TV Mounting if you make a purchase after clicking a link on this page. Your new TV will be mounted in no time! Don’t forget to use our Puls TV mount promo code when at checkout. If you have any other questions, don’t hesitate to ask in the comments section below! Previous ArticleiPhone Keyboard Not Working? Here’s Why & The Real Fix! Next Article Why Is My iPad Charging Slowly? Here’s The Truth!